a Longwood Medical Area “life lab,” a counterpart to the facility in Allston, to support nascent biotechnology and life-sciences enterprises. evolving developments in making the most of the region’s apparent biomedical and life-sciences prowess—in universities, the academic medical centers, and the for-profit sector. 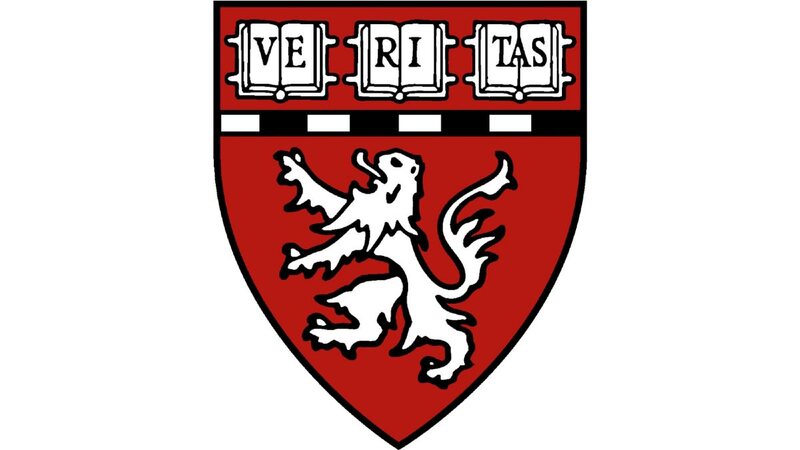 School priorities supported by the gift include deepening fundamental discovery; accelerating the development of new treatments; spurring applications of data science toward the comprehension, diagnosis, treatment and cure of disease; recruiting data scientists, computational biologists, bioengineers and other experts; and catalyzing collaborative discovery across the broader Harvard life sciences ecosystem. •A therapeutics initiative that catalyzes new treatments through enhancing imaging and visualization capabilities using cryo-electron microscopy; enhancing sequencing capabilities that enable scientists to profile behavior one cell at a time (rather than only in complex tissues); and supporting drug discovery by enhancing high-throughput screening capabilities to test chemical compounds by the hundreds of thousands or millions. These initiatives appear to complement and build upon the work of the program in therapeutic science—an attempt to make drug discovery more systematic and efficient—begun in 2013 and since expanded and augmented. According to the news announcement, the initiative aims to overcome the limitations of funding for basic discovery and support for the technologies that enable that science, and the cultural divide between academic and industry scientists that can impede translation from bench to bedside. •Faculty recruiting and new quantitative programs, with emphasis on bioengineers, physicists, quantitative analysts, and computational biologists. They are intended to enrich HMS’s biomedical informatics and data-science initiatives—in part through a new data-science core facility that will serve the entire research community—in ways that seem complementary to the University’s data-sciences programs. •Bridging disciplines and fields of inquiry, via a collaborative-grants program to draw upon expertise within HMS, and from its affiliated institutions, to address complex biomedical problems. •Spurring entrepreneurship, drawn from student, postdoctoral, faculty, and alumni discoveries, through the Blavatnik Harvard Life Lab Longwood, complementing the Pagliuca Harvard Life Lab on Western Avenue, the newest element in the iLab complex adjacent to Harvard Business School (HBS). Such low-cost, shared, wet-lab spaces for life-sciences and biotechnology start-ups are in high demand in Boston; a Longwood outlet may help satisfy some of that demand, while cloning the successful model already proven in Allston. The last of these priorities may be especially dear to Len Blavatnik. In 2009, he gave $10 million to Harvard, split evenly between a “biomedical accelerator fund” (meant to encourage and support development of ideas with commercial potential) and cancer-vaccine research at the MIT-Harvard Broad Institute, a leading genomics-research center. In 2013, he gave another $50 million in support of translating basic-science discoveries into practical therapies—a dramatic scaling-up of the enterprise, with support for fellows in life-science entrepreneurship at HBS and extensive services for faculty researchers with promising ideas through the Harvard Office of Technology Development. Len is one of this generation’s greatest philanthropists. He understands that great strides in human health comprise many steps taken by many people over long periods of time. This tremendous act of generosity will speed progress and generate profound and lasting contributions to science and human health. In each aspect of the gift, one recognizes not only a deep commitment to supporting outstanding research, but also a fundamental understanding of and respect for the nature of the scientific enterprise—and the hope it holds for all of humanity. It has long been my goal to support innovative, breakthrough scientific research and to expedite the translation of scientific discovery into treatments and cures. Harvard Medical School, with its unparalleled history of scientific achievement, creativity and science entrepreneurship, is the ideal partner to further this dream. I am confident that the school will make the most of this gift to build on its tradition of scientific greatness in the years ahead. The work that takes place in the labs and clinics across Harvard Medical School embodies the promise of curiosity-driven fundamental research to solve some of humanity’s most confounding and pressing biomedical challenges. In that sense, this is a gift to medicine and, indeed, to patients everywhere. In Daley, Blavatnik may have found an especially kindred academic partner. As reported when he was appointed to lead HMS in 2016, Daley earned his Ph.D. from the Harvard-MIT Division of Health Sciences and Technology (HST) and in addition to his career as a doctor, stem-cell scientist, and medical administrator, served for 23 years on the medical and scientific advisory board of MPM Capital, a venture-capital firm. A dual citizen of the United States and the United Kingdom, Blavatnik was raised in Russia and immigrated to the United States in 1978. Diverse sources estimate his net worth at nearly $18 billion (the Forbes 400 and Inside Philanthropy), originating from his investments in the post-Soviet privatization of Russia’s aluminum and energy industries. With today’s gift, he now ranks among the leading benefactors in Harvard history. The $200-million pledge is not quite at the level of the naming gifts for the schools of engineering and applied sciences ($400 million) and public health ($350 million)—and naming an entity like HMS would certainly require an even more stupendous commitment—but Blavatnik’s cumulative philanthropy ($10 million, $50 million, and now $200 million) now places him just above Hansjörg Wyss, M.B.A. ’65, whose dual $125-million gifts have funded an eponymous program in bioengineering. And fundraisers have to be thrilled by the trajectory of Blavatnik’s support. In recognition, HMS has named an umbrella research institute, comprising the school’s 10 academic departments, the Blavatnik Institute at Harvard Medical School. followed the campaign largess with the Blavatnik gift. Those extra funds, nearly a half-billion dollars, would, if added to HMS’s endowment, yield an additional $25 million or so annually to support research. The school has not disclosed how it will apply the proceeds from the lease sale. Options include adding the corpus to its endowment; paying down debt associated with constructing the $260-million New Research Building, opened in 2003; some mix of the two; or other allocations. Nonetheless, the transaction and the new gift make a substantial difference, even to an enterprise as large as HMS. Combined with efforts to reduce other operating costs and boost continuing-education revenues, the school clearly seems much better positioned to proceed than it was even a few months ago. At that time, Princeton president emerita Shirley Tilghman—a new Corporation member and a distinguished molecular biologist and developmental geneticist—had completed a comprehensive review of life sciences at Harvard. Drawing on it and his own experiences with intellectual-property litigation and his engagements with Boston-area institutions, Lee continued, “We have the most extraordinary critical mass of resources in the life sciences” worldwide: faculty members, graduate students, postdocs. In fact, he continued, some 12.8 percent of the life-sciences postdocs in the United States are based at Harvard or its affiliated hospitals and institutions. When that expertise is combined with Greater Boston as a whole—MIT, Tufts, Boston University, and extending up to Dartmouth and its medical center—the regional concentration of resources is even greater, “an enormous collection of faculty and others. “If that’s our advantage,” he continued, “the strategic imperative is to use it or lose it”: to apply those resources in ways that benefit the host institutions, the advance of life science, and the broader community. The key, he said, is fostering much more collaboration and cooperation—among Harvard and its affiliates, across the University, and with other institutions. But it has not always been easy to harness the potential. For example, The Harvard Campaign and FAS both identified neuroscience as a priority, but the campaign did not, in the end, catalyze a high-profile, University-wide neuroscience program (extending to such affiliates as Massachusetts General Hospital), even as interest in such research rose nationwide. Columbia has secured $200 million of support for neuroscience research, and the University of Southern California launched its own significant initiative. Obviously, elements of the programs supported by the new Blavatnik gift are intended to bring intellectual resources together to address priority research challenges—across Harvard and beyond. A biological-research facility now under discussion for Allston would apparently combine multiple institutional partners as well. Rachel Wolfson, Harvard-MIT M.D.-Ph.D. program class of 2019. Lest the message get lost, at least these leaders of the enterprise are committed to fostering the joint progress of the area’s biomedical research and development of new therapies. If nothing else, the Boston leaders may be feeling some competition. Stanford, the University of California at San Francisco, and Berkeley have powerful life-sciences assets, too; a major, local biotechnology industry; and a new Stanford president who comes from an academic and industrial life-sciences background—and who has aimed his institution’s newly unveiled strategy squarely at accelerating therapeutic applications of biomedical discoveries, precision health, data science, and artificial intelligence (four of its eight substantive priorities). Those assets and plans have attracted substantial support from new sources—most notably, a $600-million commitment to a “biohub,” embracing the three Bay Area universities, from the Chan Zuckerberg Initiative, the philanthropic arm of Facebook founder and CEO Mark Zuckerberg ’06, LL.D. ’17, and his wife, Priscilla Chan ’07. Tilghman is on the CZI’s scientific advisory board, and Harvard clearly hopes to cultivate a research relationship. Last weekend, when Arnold professor of science Xiaowei Zhuang was awarded a Breakthrough Prize for her work on super-resolution microscopy, President Bacow traveled to San Francisco for the ceremony. The prizes are sponsored by a foundation established by Zuckerberg and Chan, among others, and so afforded an opportunity for the new president to celebrate Harvard science in a way that showed his personal commitment to the field. Come what may in Washington—the federal budget is by far the most important source of funding for biomedical research—people attuned to and supportive of the potential for further breakthroughs are stepping up to the challenge. Even as federal support was flat during the University’s latest fiscal year, nonfederal sponsored support rose a robust 8 percent. A recently announced $100-million anonymous gift to FAS aims at supporting the science infrastructure used by undergraduates—another powerful sign of donor interest in such work, and a good indicator of momentum early in the new Harvard administration. And Bacow’s new development vice president, who arrives from Caltech, adds to knowledge about securing support for science. In a huge way, Len Blavatnik is demonstrating confidence in the potential emanating from HMS and area laboratories—now, increasingly, working together. Read the HMS announcement here.